When we're programming it's common to have the need to quickly test and do some experiments with a piece of code. 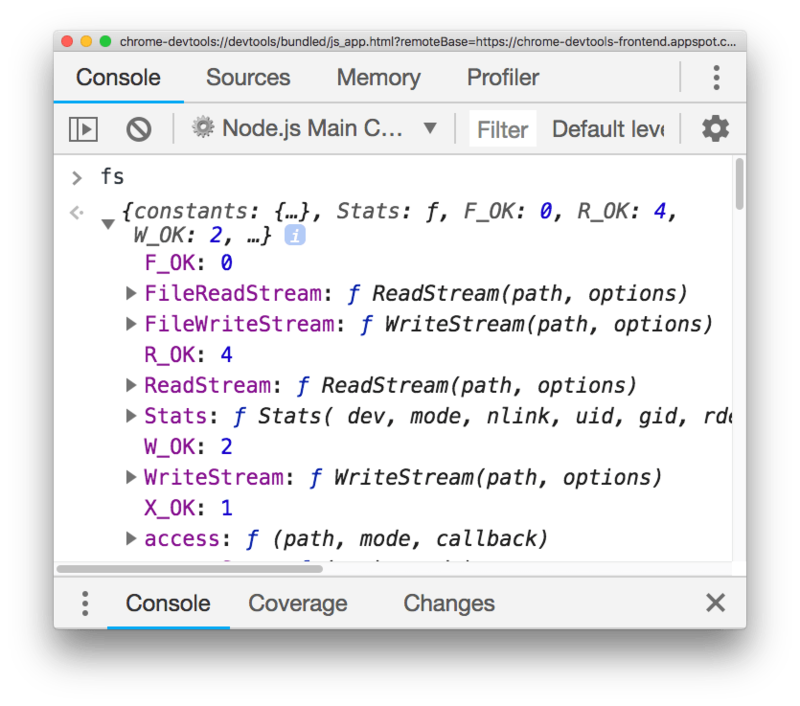 How can we do the same with Node.js code, and debug Node modules with access to the filesystem and other Node.js capabilities? It’s very simple, actually. Then in Chrome type this URL: about://inspect. 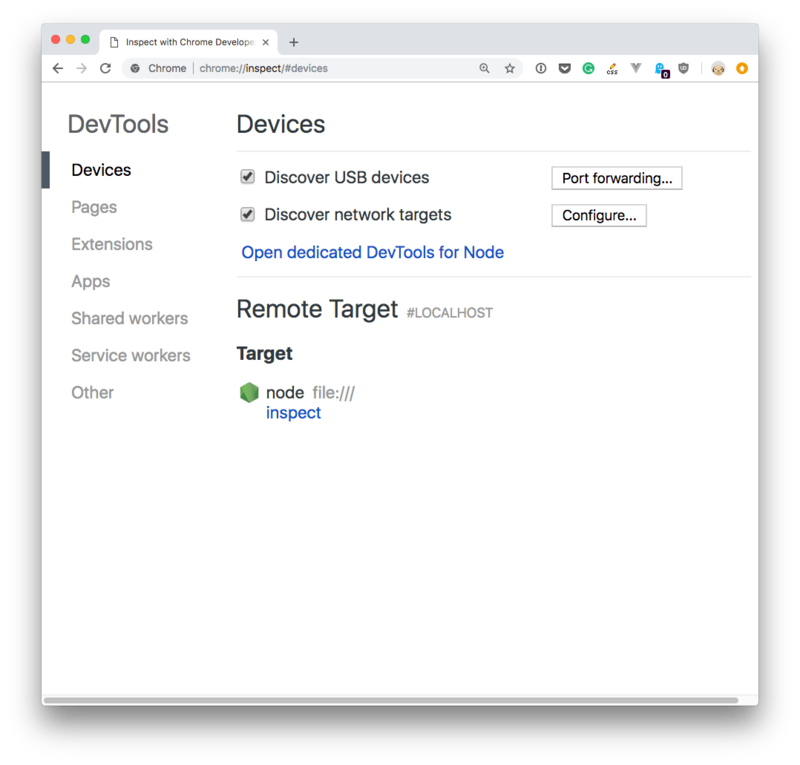 Make sure you click that, and not the inspect link down below, as it tool auto-reconnects to the Node.js instance when we restart it - pretty handy!